Alastair Cook announcing his sudden retirement has come as a surprise to many. A larger part of the jury felt that Cook being just 33 was way too young to call it a day. To be honest, Cric Crak doesn’t blame those people to think in that direction either considering everyone does go through a lean patch of form. Technically KL Rahul has scored lesser runs than Alistar Cook but the former English Captain expected more than just surface level initiatives it felt. Cook was gutted due to his poor string of failures and it seemed like he felt it’s only wise to retire before he was shown the door. My point is, – So what even if he did? He could have always made a comeback as when the going gets tough, the tough should get going and Cook was a tough lad! Always had been! Also Read: Steve Smith Leaves A Special Message For Cook! The left-handed opening batsman from England has scored 12,254 runs till now at a whopping average of 44.88. Ever since he made his Test debut against India, he has been shamshing it all over the world. He is about to retire as the most capped English test player to have ever played the longest format with 160 matches under his belt. Not to forget, he is also the highest run-scorer in Test Cricket for the Poms. While the world has been Tweeting about him ever since he has announced his retirment., Sachin Tendulkar wasn’t to miss out. 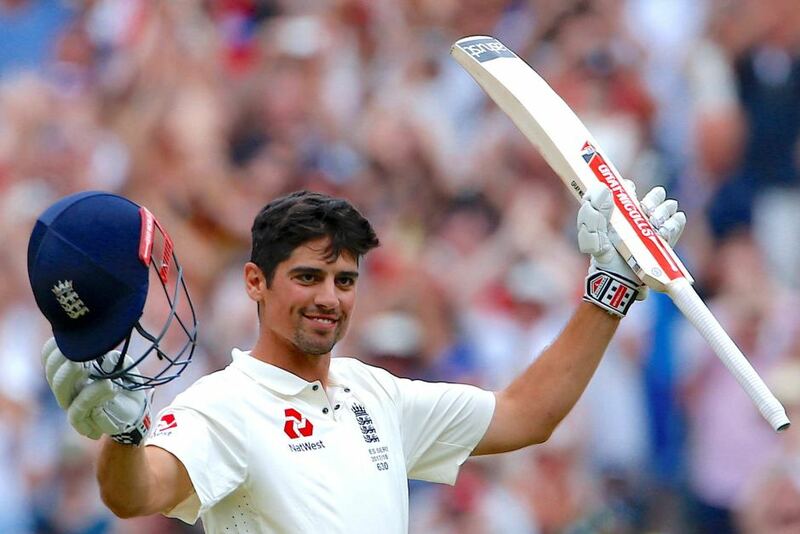 The former right-handed legendary batsman from India expressed his thoughts about Cook as he resorted to the micro-blogging site. Tendulkar via his official Twitter handle termed Alistar Cook as one of the finest English batsmen to have played International Cricket and also lauded him for the way he conducted himself both on and off the field. While doing so, the master-blaster wished Alistar all the luck for the 2nd innings of his life. While I honestly believe that the talented Alistar Cook had much more to offer to International Cricket, I wish more ‘Power’ to him and hope that he gets to spend all the quality family time he is looking forward too. Cricket will miss him but don’t be surprised if we see Cook in a completely new avatar targeting the T20 leagues around the world. He still has age on his side and plenty of cricket left in him and we will leave you with that thought.